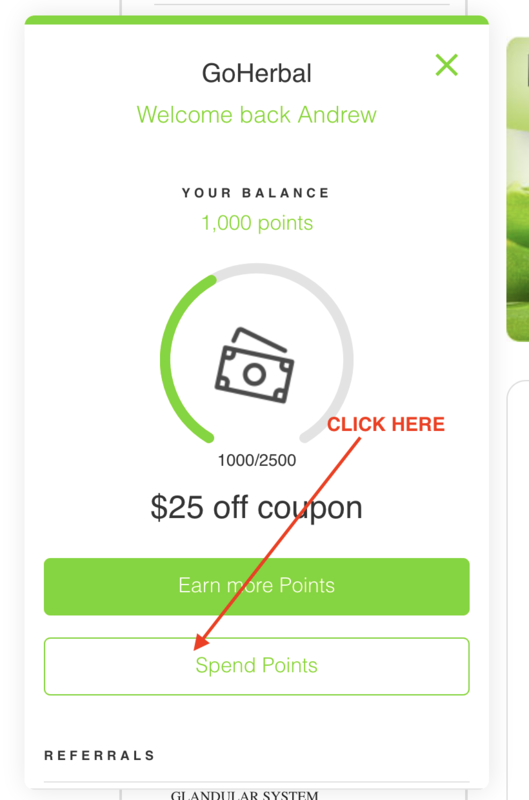 Reward points are like currency for use exclusively on GoHerbal.co.nz as a form of payment, or part-payment, for your orders. Points are awarded to registered customers for every order, and also for certain other actions such as inviting a friend to shop with us, on the occasion of their first order. Reward points are an added bonus and just one of the ways we thank you for being a loyal customer. You must first register an account to be eligible to earn reward points. Registering an account is an important part of our checkout process for new customers anyway, so you'll need to register if you want to shop with us, but you can easily do so directly via the checkout process. Once you've registered, simply sign into your account before placing any future orders, and your points will accrue and be available for you to use as a payment method at Checkout. *Earn reward points with your first purchase equivillant to NZD $10.00! 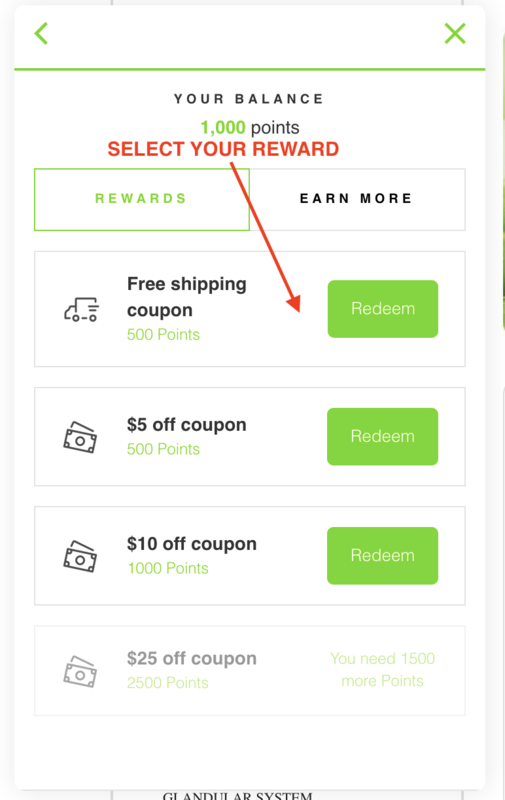 On the bottom left hand side of your screen you will see the "Rewards Program" Tab, click on it. 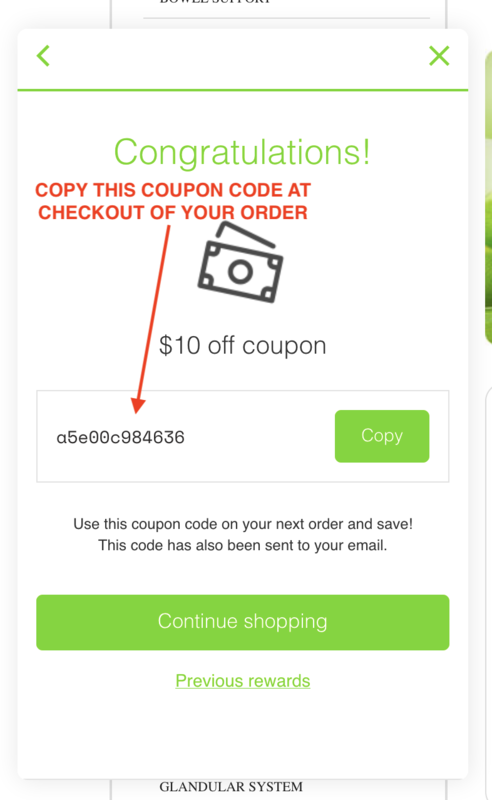 Click on this and congratulations you will be give an instant coupon code to use at checkout. 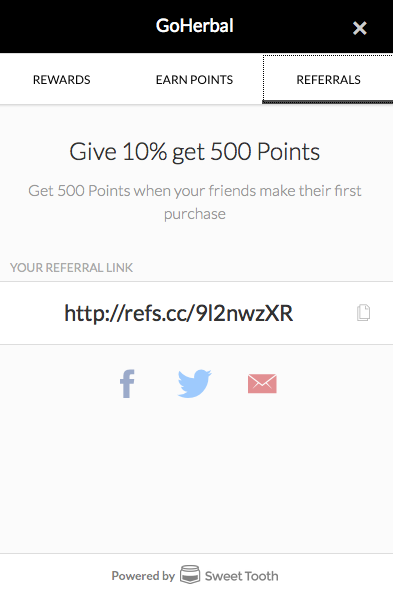 If you refer us to one of your friends you will be rewarded 500 Points = NZD$5.00 if they purchase - Your friend will recieve a 10% savings coupon. On the bottom right hand side of your screen you will see the "Rewards Program" Tab, click on it. Select the option by which you would like to send your referral, Facebook, Twitter or Email. Any unused reward points will not expire at this stage unless your account has been inactive for a 1 year period. Any changes to the above will be noted on this page. We advise you to check this page regularly for changes. Your participation in the rewards points programme and the administration of your rewards points balance is entirely at our discretion. We reserve the right to cancel your account or adjust your reward points balance without notice or explanation. Reward points are not legal tender and are in no way redeemable for cash or any other benefit except via their proper and intended use as outlined here. They are redeemable exclusively on HealthPost.co.nz, and entirely at our discretion. Reward points balances are not transferable under any circumstances.